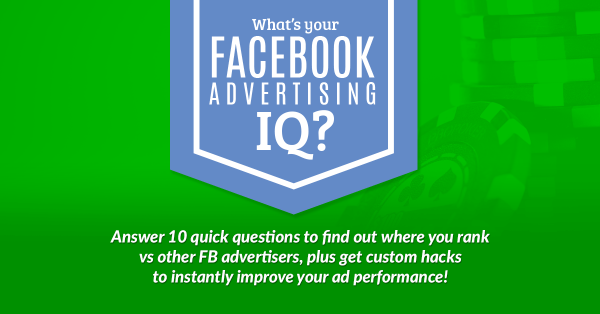 Home / Digital Advertising / QUIZ: What’s Your Facebook Ad IQ? QUIZ: What’s Your Facebook Ad IQ? Answer 10 quick questions and find out where your skills rank vs other Facebook advertisers. Plus, get custom hacks that will instantly improve your ad performance! Visit fbadiq.com for instant access!